Hike done on June 24, 2018 with Rich, Beth, Everette, and Jennifer. Rich drove all of us to Turkey Pen Gap in Gorges State Park. From there, we first hiked to Lower Bearwallow. From there, we backtracked to where Auger Hole Road crosses Bearwallow Creek, and headed upstream to Bear Canyon and Bluff Falls. See mini trip report on the GPS track (last photo). 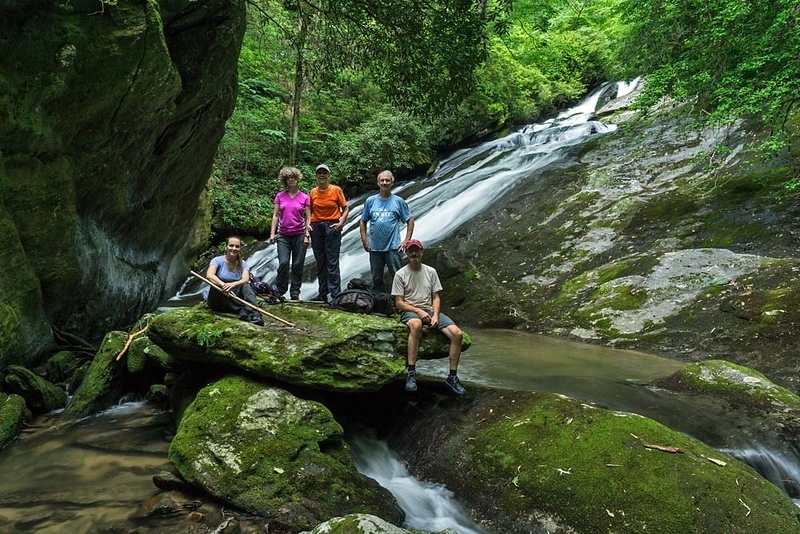 Awesome photo by Rich of the 5 of us at Bluff Falls.